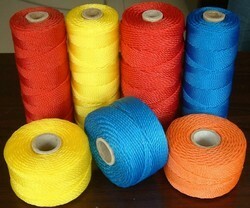 Providing you the best range of pe ropes and twines with effective & timely delivery. 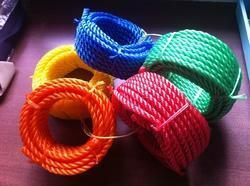 PE Ropes are used mainly in fishing industries. Also they can be used for house hold purposes and other industrial uses. They come in sizes from 2mm to 24mm. Twines are thin thread made of plastic. They are generally used in fishing industries for making fishing nets.